To celebrate International Woman's Day this coming Thursday, 8 of March we have these beautiful garden roses available in our flower department! There is an array of colours to choose from and one of our lovely florists will wrap them for you. Ryan and Julian co-founded Life Cykel in 2015 after discovering how to grow gourmet mushrooms from waste coffee grounds. You can now simply grow gourmet oyster mushrooms on your kitchen bench. These mushroom kits are prepared from waste coffee grounds and collected from Australian cafe’s by Life Cykel. Join us for a tasting of two delicious wines made that are owned, grown and made by husband and wife team Oscar Alegre and Eva Valganon. We will be tasting the 2014 Tempranillo and our favourite, the 2015 Clarete. With its peppery taste, the Betel leaf are used to add flavour to your dish! Our produce section now has limited stock. Betel leaf is used in a variety of ways in Asian cuisine and brings a traditional element to the meal! Join us in the Courtyard this weekend as we taste this delicious small batch chorizo made by Allan Fernandes, in a paella! Our chefs will be cooking up a tasty chicken and chorizo paella using this Portuguese style chorizo! Our produce section is overflowing with an array of new season apple varieties! Grown and packed in Manjimup, these apples are all delicious and perfect for snacking. We have Early Golds, Fuji, unwaxed Royal Gala as well as a red Royal Gala apple that is so shiny it looks like a toffee apple! If you are a seasonal eater, who enjoys locally grown produce, then now is the time for apples! PomLife Pomegranate Aril Powder is locally produced from high quality 100% Australian grown fruit. Nestled in the hear of Victoria's Goulburn Valley is PomLife's orchard, cultivating pomegranates, one of nature's oldest super fruits. Full of flavour, rich with antioxidants and minerals, PomLife Pomegranate Arils Powder is a great addition to smoothies, shakes, yoghurts, cooked dishes, cakes, muffins and ice cream. Now available in our groceries section! Dark Chocolate & Toasted Coconut Granola - one serving of this granola is equal to 2.7x the protein in an egg white! Padma Wellbeing is founded to provide people with well-balanced, nutritious food based on sound scientific and nutritional principles and out of love for our planet, its people and animals. Tasting in store today, Saturday 24 February from 11am! Hand-made in Fremantle with organic, sustainably sourced heirloom variety cacao from farming cooperatives - this chocolate is poured and delivered every week. It has a full, rich, velvety taste and mouthfeel that gives an incredibly satisfying chocolate experience. The chocolate is served in glass airtight jars to ensure maximum freshness and quality! It is now available in our health food fridge! 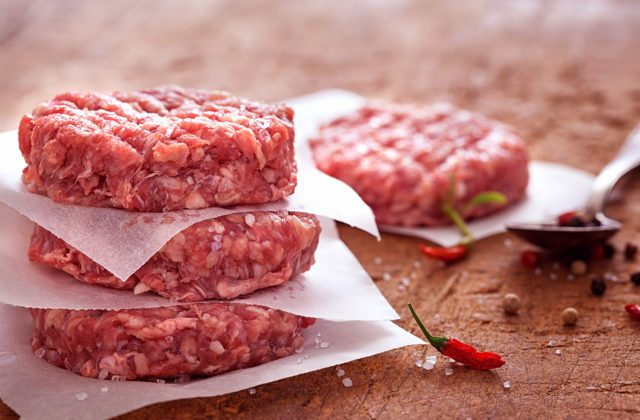 Our house-made Prime Rib burger patties are made using 30 day dry ages Cape Grim Black Angus beef! Perfect for the BBQ, the make the quickest and easiest meal! The fruit has a thin, dark red skin surrounding a sweet, white flesh. These fruits are eaten fresh, dried or processed as ‘Chinese dates’. Fresh they taste like a crisp apple and dried they are sweet and chewy. They are delicious and nutritious! Now available in our produce section. This superfood from the sea is an honest tasty snack that packs a punch with nutrients and minerals. These snacks are crunchy, papery thin and delicious -perfect for healthy snacking! Certified organic, Australian owned, gluten free and vegan. Join us up in the Loft this Friday to taste the delicious Lowboi Riesling. Made by Guy Lyons’ - the head winemaker at Forrest Hill under his own label. The label features artwork by celebrated Aboriginal artist Bella Kelly. This Rielsing is powerful, zesty, fresh. It is whole bunch pressed and portion fermented in stainless steel, portion in ceramic egg! Established in 1969 by Dr Bailey Carrodus, Yarra Yering is one of the oldest vineyards in the Yarra Valley. Dr Bailey Carrodus is credited as being a driving force behind the revival of the Yarra Valley, now one of Australia’s most celebrated wine regions. Since his passing, Sarah Crowe has taken the reigns. In 2017 Sarah was awarded “Wine maker of the Year”, the first female winemaker to be awarded this honor. Hand-made, no processing, unfiltered and unrefind. The Furious Bee Honey Co is owned by three very unique characters! Romo Fernando, Jason Baird and David Jenkins - who own South City Boxing & Fitness and have a great love for bees! The forager bee will travel up to 15 km to find nectar - their hives are located in isolated native forests and bush land to make sure that the forager bees do not source nectar and pollen from polluted or sprayed plants making their honey the cleanest honey around! The honey and honeycomb has incredibly high Total Activity which is a measurement for honey’s anti-microbial quality. The TA is like a bacteria killing scale; the higher the TA the greater the antimicrobial strength. Everything is done by hand, from the building of the hives and frames, to the harvesting, to the 'old school' hand extraction technique and the bottling. There is minimal to no processing. Their creamed honey is small-batch and made by hand. We are now stocking the full range - Banksia & Eucalypt, Redgum, seasonal and creamed as well as two honeycombs - Mallee and Redgum! We are now stocking the full range of Daily Bars in our grocery department. They are organic, low sugar, healthy fat filled, plant based bars that are the perfect snack when you are in a rush or a healthy alternative when you have a sugar craving! All the bars are handmade and have no numbers, colours, preservatives gums - just natures most nutrient dense ingredients!